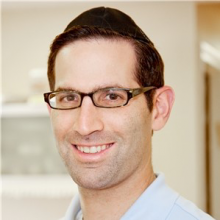 Dr. Stern graduated from NYU College of Dentistry in 2002. Prior to studying at Dental School, he graduated from Queens College with honors. He completed his residency in the Department of Dentistry and Oral and Maxillofacial Surgery at Woodhull Medical Center. Dr. Stern has been practicing for 5 years. Since he began practicing dentistry, Dr. Stern has kept up to date on many continuing educational classes, ensuring that his patients receive the most comprehensive and advanced dental care. Dr. Stern is the best dentist in the Howard Beach area. He is very nice and professional. He would never recommend a procedure if you didn’t need it, he has your health in mind. He has a “if it ain’t broke don’t fix it” type of attitude, which is something I think a lot of dentists are lacking. I’ve recommended him to all my friends and family who live nearby. I have a very intense fear of drills and the pain I associate with getting cavities filled, so I stopped eating sweets so I wouldn’t get any cavities. I didn’t have a cavity for 30 years. I’m so thankful I went to Dr. Stern to get my cavity filled. He is very nice and made me feel extremely comfortable. I didn’t feel a thing when he was working on my tooth, and he explained everything he was doing as he did it, which was very helpful and comforting for me. I learned a lot. After he was done Dr. Stern asked if I had felt anything and because I was so excited that it was over and painless. Dr. Stern’s staff was very friendly and made me feel comfortable. They helped me with scheduling the follow-up appointments. They also didn’t try to get me to pay for things I didn’t need, they were all just honest and provided quality service. I’ve already recommended this place to all my friends and family that live in Howard Beach, NY. After signing up for the Doctors Network dental insurance plan, I selected this place for my dental needs. I wanted a cleaning as my first appointment so I decided to check it out. They made me feel right at home, my comfort was definitely their top priority. The hygienist even offered to change the room temperature for me and offered a blanket. The x-ray technician took my thyroid into consideration and made sure it was covered up so there wouldn’t be any problems. Everybody was very kind and easy to talk to. I love this place, and as long as I live in Howard Beach, can’t imagine going anywhere else. Patients who sign up for a direct dental plan through our office in Howard Beach can attend routine preventive exams and cleanings for only $25 per visit. This includes X-rays, when necessary, and the cost does not change no matter how many times you visit per year. When cosmetic or restorative treatment is required, the costs of your treatment will be discounted by up to 90%, including fillings, dental crowns, dental implants, Invisalign® and more. If you have questions about Doctors Network, or are ready to sign up, then contact Dr. Stern at Howard Beach Dental today, or call Doctors Network at 1-866-800-3168. General dental care is as important to your smile as taking care of your teeth at home. For example, preventive exams and cleanings are necessary to avoid dental issues such as tooth decay and periodontitis. At our Howard Beach, NY dental office, Dr. Stern and our team offer a wide range of family dental services to help you enjoy a lifetime of healthy smiles. In both your oral and overall health, prevention is the best medicine. Therefore, the main focus of family dental care is preventing dental diseases from developing in the first place. Besides brushing and flossing your teeth every day, professional dental cleanings and exams help stop the development of bacteria-rich plaque. Other treatments, such as root canals, fillings, crown and bridges, wisdom teeth extractions, etc., can also help you address existing issues before they grow worse. During your visit to your dentist’s office, your dentist will carefully perform a comprehensive dental exam for signs of trouble. Then he or she will recommend an appropriate course of treatment to stop the problem from growing worse. However, ensuring a lifetime of healthy smiles will still rely on routine visits with your general dentist. Make an Appointment with Your Howard Beach Dentist Today! With a strong focus on prevention, general dentistry is essential to enjoying a lifetime of healthy smiles. To schedule a consultation, call Dr. Stern's dental office in Howard Beach, NY today at (718) 848-7888.